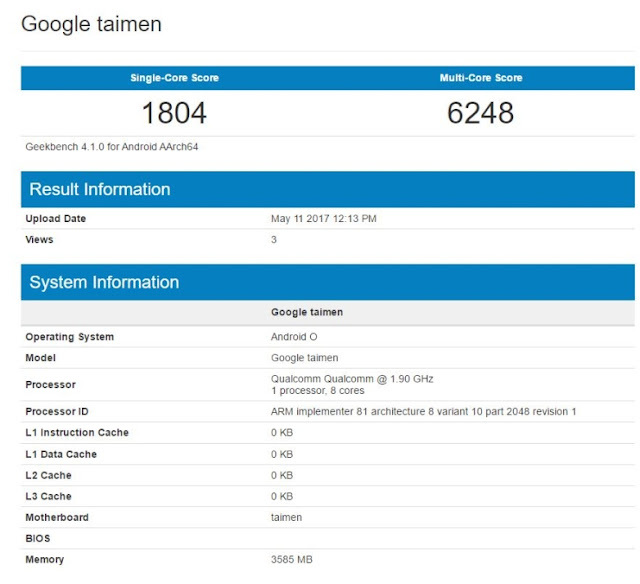 It might be early, but here's the news: The 2017 edition of Google Pixel has been spotted on Geekbench with codename 'Taimen.' 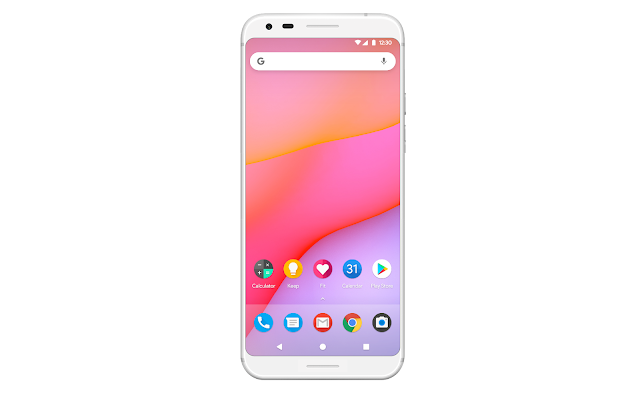 Earlier rumours said that Google is working on three Pixel phones- walleye, muskie, and taimen. The Google Taimen is said to a smartphone with a 6-inch display, and the device will be powered by the Qualcomm Snapdragon 835 chipset and will feature 4GB of RAM, according to the listing. Also, at the time of testing, the device was running Android O. Not many details have revealed by the Geekbench listing, but we're expecting to surface in coming weeks. That said, it's now almost confirmed that Google is working on three Pixel smartphones this year. Also, the three Pixel phones will be separated by the screen size and battery capacity, same as what we saw with Google Pixel and Pixel XL last year. There are no details about the Walleye and Muskie as of now.